Give Me Liberty Or I’ll Slit Your Throat | What Would The Founders Think? In the end, Assassin’s Creed III did what it had to do. It showed the men of the Revolution as best as it could and in possibly the best light it could, but it still had to be believable for the behavior of a pouty young Indian Assassin. And in that regard, it’s a good game. The Assassin’s Creed series of video games is a widely popular, historically based group of action games. The games center around an age-old conflict between the Templars (who seek to control the world’s citizens and manipulate them to do what they want) and the Assassins. The Assassins live by a creed (hence the name) that is made of three simple tenets: don’t harm the innocent, hide in plain sight, and never harm the Brotherhood. They live by the simple rule of “nothing is true, everything is permitted,” essentially meaning that you’re free to do whatever you wish as long as you don’t needlessly harm, and reminding the Assassins to trust no one. This conflict seems all too familiar, doesn’t it? The series revolves around the modern day Assassin, Desmond Miles, and his ventures in a complex computer system called the Animus that allows him to relive the memories of his Assassin ancestors. The first game put him in the mind of Altair ibn La Ahad, an Assassin during the Crusades of the 12th century. The next three games followed Ezio Auditore da Firenze, a debonair, Renaissance, Assassin. The most recent installment in the series puts Desmond in the shoes of Raton:haketon, otherwise known as Connor Kenway, an Indian Assassin during- you guessed it- the American Revolution. Overall, I wasn’t dissatisfied with the portrayal of our Founding Fathers in ACIII. Among the familiar faces are Samuel Adams, Benjamin Franklin, Charles Lee, and George Washington himself. 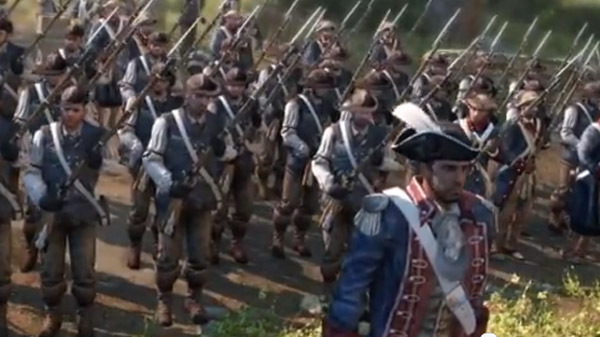 Being an Indian as he is, Connor is of course bitter and whiny to these men most of the time he has contact with them, but overall he still believes their cause is just and kills as many Redcoats as he can. The story begins with Haytham Kenway, an Englishman and Templar who visits America, draws men like Thomas Hickey and Lee into his posse, and then has a child with a random Indian woman. Of course, that child’s Connor (or, Raton:haketon. I’m going to stick with Connor for this review.) We then fast forward to Connor as a five year old child, frolicing in the woods with his friends. Unfortunately, during a game of hide and seek, Charles Lee (whom Washington called a “poltroon”) pays him a visit, knocks him out, and proceeds to burn down his village. This is the first problem area for me. Granted, Charles Lee becomes the main antagonist of the game, I couldn’t help but feel they could have gone a different direction than the whole “white man bad” mindset, but I realize they want to remain true to history and give Connor a reason to fight. Following this, Connor gets older and resolves to find the man responsible. His searches draw him to who appears to be the only Assassin remaining, an elderly, black fellow named Achilles Davenport, who is possibly the only really likeable character in the first part of the game. He teaches Connor how to be an Assassin, and proceeds to take him to Boston. In a slightly skewed (but just for the sake of the game) version of the Boston Massacre, Connor ends up convicted by the Redcoats. This made me happy. Connor sees the English shooter who’s getting ready to start the massacre, but stops him in the nick of time. Unfortunately, there’s another shooter, and Connor gets framed for the whole ordeal. But soon enough, our good friend Sam Adams comes to the rescue. Sam Adams is portrayed nearly flawlessly, and teaches Connor the ways to get rid of his notoriety around town, ultimately culminating in his helping Connor escape Boston. Connor returns to Achilles, upset that he abandoned him in Boston, but glad to have formed a tenuous relationship with the first decent white man he’s met. Connor resolves to kill off the Templar chain of command from this point forward, which he knows will culminate in him killing his father, Haytham. As the revolution reaches a boiling point, so does Connor’s fragile mental state. But he still marches on. He (reluctantly) helps Paul Revere (who may or may not have actually been there) and William Molineux (who definitely was there) with the Boston Tea Party in a pretty cool gameplay segment. 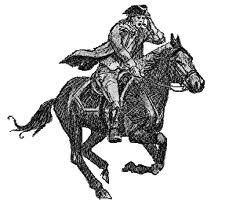 Following this, he participates in helping Paul Revere ride to warn the Patriots of the British approach (he actually is the one that rides the horse, Paul just navigates for him), saving colonist troops at the Battle of Lexington and Concord, and helping Putnam at Bunker Hill to kill Pitcairn (who’s one of the Templars on his list). Throughout all of this, all of the historical American figures with whom Connor interacts are amiable and good-nature to him, but he returns their kindness with poutiness and an air of indignity. Still, he plays a big part in saving their behinds and helping them out, so there’s something to be said for doing his duty. As he works, he eventually travels to Valley Forge. The developers really did a great job of showing the hardship that occurred at Valley Forge during the winters, and they portray George Washington perfectly. Washington speaks with Connor and appears as a humble, yet dignified character, and Connor actually shows him his due respect. For now. Connor quickly uncovers a conspiracy set up by another one of his targets, Thomas Hickey. Hickey plans to, under Haytham’s supervision, kill George Washington, and Connor attempts to stop him when he learns of it. Unfortunately, the officials don’t realize what’s happening, and Connor gets imprisoned while Hickey walks away a free man. Connor doesn’t like that too much, and narrowly escapes his death penalty with the help of Achilles, and barely stops Hickey from doing the deed by killing him. Two more to go. Some minor game events occur after this point with a few more battles interspersed, and Connor runs into Haytham while chasing a man suspected for treason by Washington. The two forge a strained alliance, but it seems Haytham actually genuinely wishes to help Connor. Then, they visit Washington again, and Haytham reveals to Connor, Washington’s evil, dastardly plan to send a couple of Patriot troops into Mohawk territory. The horror. Connor pouts away and returns quickly to his village, only to learn that the Patriots had peaceful intentions in mind after all, and were merely setting up a defensive fort nearby. Go figure. However, some of the Indians there have already been sent to attack, and Connor is left with no choice but to kill some of his countrymen. I was pleased with this part as well, despite Connor’s whiny treatment of the Indispensable Man, he still did the right thing in the end. 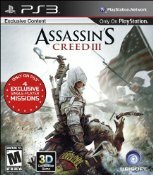 Connor returns to New York with Haytham, and tries to forge an alliance with him on the stipulation that they remain peaceful after the death of Charles Lee. 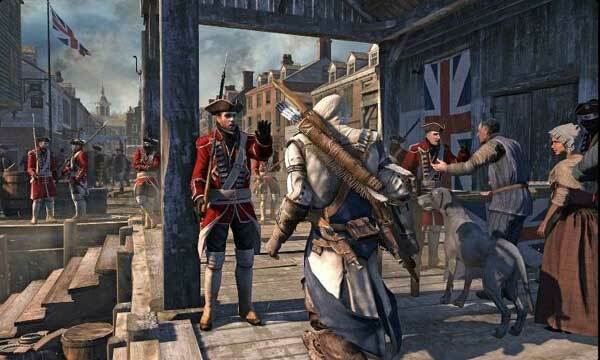 However, during a failed raid on a fort, Haytham confronts Connor, the two duel, and Connor is forced to kill him. After this, Connor makes short work of finding the last Templar, Charles Lee, and killing him. He returns after the haze of war to his native village, and finds that they have been moved to a more opportune location by our good friend, President Washington. All in all, the portrayal of most of the Founding Fathers was favorable in the end. They were all very likeable characters and did what I thought they would have done. Unfortunately, Connor pretty much hates all of them, and even returns to Washington later on in the game to tell him he thinks he’s done the wrong thing. Washington tries to reassure him that the country will be a better place, and Connor reluctantly agrees, and a tenuous friendship is formed. Other than that, Connor doesn’t really talk to much of the Fathers in the aftermath of the Revolution. Sam Adams, Paul Revere, and Washington were the most prominent in ACIII, but other heroes of the country like John Adams, Thomas Jefferson, Ben Franklin, and a few others mentioned names are present as well, and they’re all portrayed well and accurately. So in the end, Assassin’s Creed III did what it had to do. It showed the men of the Revolution as best as it could and in possibly the best light it could, but it still had to be believable for the behavior of a pouty young Indian Assassin. And in that regard, it’s a good game. Matthew’s contribution was a wonderful read, not being a video game aficianado myself. “Whiny treatment” is a phrase that fits today’s liberal-left idiots, but it was to Connor’s and President Washington’s credit that they both stuck it out to make their “tenuous friendship” work for something. “Off with their heads” for those who defied liberty and got in their way. That was an awesome read. Good going Matthew!